U.S. Vice-President Mike Pence pledges the U.S. will use its economic and diplomatic power to push for free elections in Venezuela. U.S. Vice-President Mike Pence addressed a sympathetic crowd of Venezuelans in South Florida and pledged the U.S. will use its economic and diplomatic power to push for free elections. Pence spoke at a church in the city of Doral, the exile enclave, to a crowd of about 300. 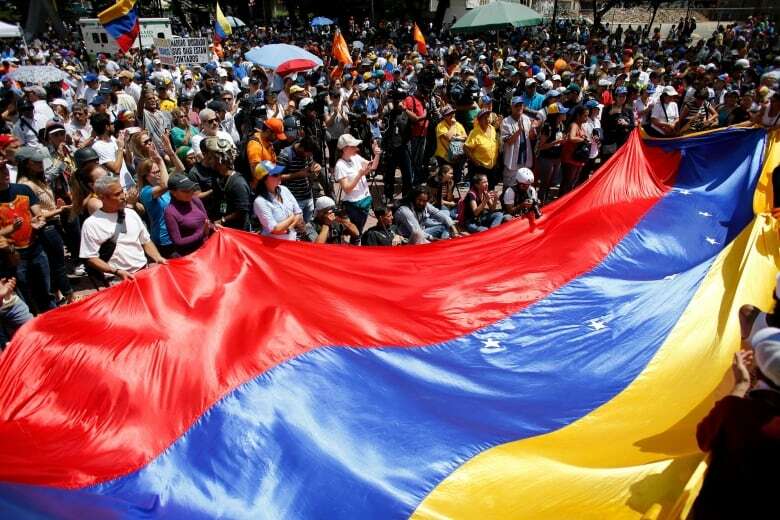 They occasionally shouted "freedom, freedom" and cheered every time the vice-president spoke of President Donald Trump's interest in Venezuela. "Under the leadership of President Donald Trump, the United States of America will continue to bring the full measure of American economic and diplomatic power to bear until democracy is restored in Venezuela," Pence said, threatening there were more sanctions to come against the government of President Nicolas Maduro. As other countries in Latin America have improved their economies, Venezuela has gone downhill, Pence said, calling Maduro's presidency a "dictatorship." "We hear you, we stand with you. We will not stand by as Venezuela crumbles," Pence said. 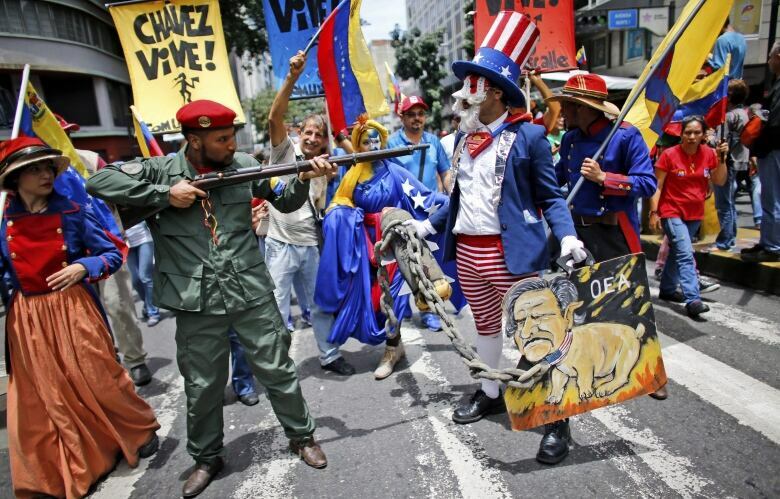 A woman held a sign at the event that read, "Venezuelan resistance asks for military resistance. We can't do it alone," an apparent reference to Trump's remarks earlier this month that there was a possibility for the U.S. to invade Venezuela. Last week, Pence visited Colombia, Argentina, Chile and Panama in an attempt to rally the region against Venezuela, but because of Trump's comments, the vice-president switched to damage control to soothe fears in a region scarred by past U.S. invasions. "There is no way to get [the government] out by democratic means," Muchacho said, pleading for more help from Latin America, the U.S. and Europe. Venezuela's recently ousted chief prosecutor accused President Nicolas Maduro and several allies on Wednesday of corruption, saying she would turn over proof that would help other countries prosecute. Venezuela's government quickly fired back, accusing Luisa Ortega Diaz of "grave moral and ethical infractions." Ortega spoke during a meeting of Mercosur trade bloc prosecutors in the Brazilian capital, Brasilia. Ortega was removed by a new, pro-government constitutional assembly in early August. "I want to denounce, in front of the world, a grave situation in Venezuela: that of excessive corruption," Ortega said. Ortega's claims could not be immediately verified. Emails sent to Group Grand Limited, TSE Arietis and Odebrecht seeking comment were not immediately returned. "It's impossible for cases to be investigated in Venezuela," said Ortega, adding that she was providing documentation to the United States, Brazil, Colombia and Spain. Hours later Ortega's replacement, Tarek William Saab, told reporters in Venezuela's capital that the accusations "lacked validity" and should be presented to Venezuelan authorities. Saab called Ortega a "world tourist" who had been pushed out because of her own infractions. 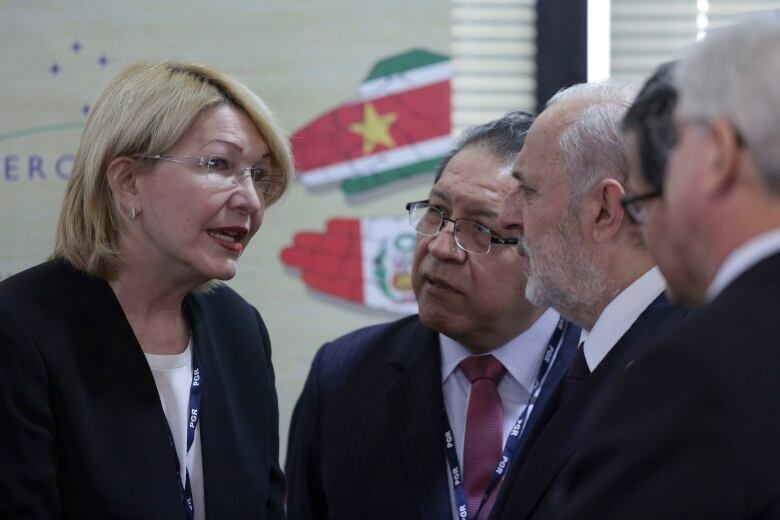 At the Florida meeting, Carlos Vecchio, a well-known leader of an opposition party, said that Venezuela is a failed state with criminals in control. "It is a criminal state," Vecchio said. "It is led by a mafia involved in drug trafficking and close to terrorist groups." The country's vice-president Tareck El Aissami was sanctioned by the Trump administration in February after being accused of running a drug trafficking network of corrupt officials in Venezuela. More recently, Washington slapped sanctions on Maduro and other top officials involved in the installation of a new, all-powerful constitutional assembly. During the meeting, Ernesto Ackerman, a local leader of Venezuelan-Americans, approached Pence and gave him a black hat with the colours of the Venezuelan flag. It read, "Make Venezuela Great Again."